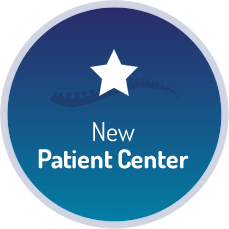 We welcome you to the family-oriented environment at Stelios Spine and Health! At our office, you’ll get high-quality health care from Trinity chiropractor, Dr. Stelios Zografakis. 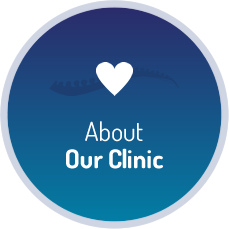 You’ll experience a positive approach to providing natural and effective chiropractic care. 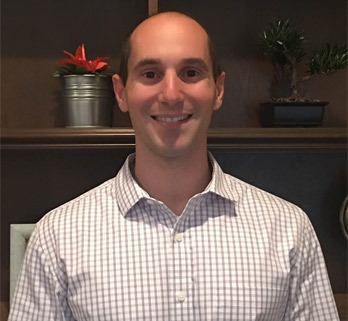 Genuine, caring and personable, Dr. Stelios respects what each of our patients is looking for and will do all that he can to assist them. As Trinity residents, we are invested in the area and the lives of our fellow community members. You’ll be treated just like family in our homey environment and feel comfortable in our office, knowing we’ll address your individual needs. Chiropractic care addresses your musculoskeletal system and central nervous system. By keeping your spine aligned, there are no disruptions in the signals your brain sends to the rest of your body. Nerves, muscles and organs will all be able to work to their optimum potential. Dr. Stelios is skilled in several different chiropractic techniques. We’ll do only what you feel comfortable with and are here to offer you pain-free, stress-free health care. Many people today live with pain, whether it’s acute or chronic. 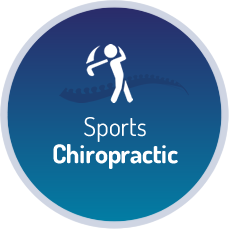 Perhaps you have neck or low back pain or played sports growing up and are still feeling an old injury. Whatever it is that’s holding you back, we’re here to support you. Chiropractic is safe, effective and beneficial for countless people of all ages! Our flexible hours include early morning and evening appointments. You can walk in today for a visit, or contact us to schedule a same-day appointment. We accept insurance and are happy to check your coverage! Awesome first experience! Dr. Stelio spent a lot of time with me and helped me learn things about my health I didn’t know. I’ll be a regular patient and refer others, outstanding first experience. Keep up the wonderful work! I will definitely send people to you! After all, word of mouth is the best advertisement! Dr. Stelios is caring, genuine, and a knowlegeable doctor. The staff is courteous and professional. The office is clean, modern, and well equipped. Awesome Staff! Will go back!! My son has been suffering back pain after being wheelchair bound for months due to an emergency surgery from a kickball accident. After his first treatment, I could see the relief on my son’s face and that was the best feeling in the world. The healing power of chiropractic care is amazing and Dr Stelios makes me believe this even more. Thank you for genuinely caring about your patients as if they were your family. So nice to be with a practitioner you can TRUST! Great office with friendly knowledgeable staff. For the better part of my adult life I have been under Chiropractic care. He is most definitely the best Dr. I have seen. Thank you so much. I had a great experience for my first visit. He was extremely pleasant and kind. He explained in detail my issues and took his time working with my condition. Chiropractic care has been part of my life and I am very happy to find him. He came highly recommended and I can see why. You will be treated like a person, not a number. Great first time experience. I would be happy to tell anyone who needs chiropractor services to come here. An excellent first appointment. Look forward to building a good health care relationship. Overall my experience was awesome! I will definitely recommend Stelios Spine and Health to others. Thank you for all your help! Very thoughtful, kind and caring professional team and office surroundings. Dr Stelios explains everything very well so that I am able to understand what I need to accomplish in my treatments. I really enjoyed the ease of scheduling with Becka and the Waiting space is very nicely put together. The Dr was very attentive and I truly appreciate his helpful ideas on wellness for me and my daughter. Dr Stelos and staff were excellent, they followed up the next day to make sure I was ok. That is really something you don’t see much anymore! Thank you for the outstanding care and time that was spent with me. Excellent friendly service, and am SO glad I came. Thank you! Dr. Stelios is one of those people that truly loves what he does. You can tell by how well he knows his job, the skills he possesses to do it and the smile on his face as he does it! I will highly recommend Dr. Stelios to anyone I meet that can use his services! A real friendly PROFESSIONAL bunch of folks. Very knowledgeable, professional and easy to understand. Provided with a detailed explanation of why I was in pain and what the Doctor and I could do to correct the problem and be healthy again. Highly recommended! I am very impressed with the amount of time Dr. Stelios spent with me and the thorough explanations. Very friendly and took time with me – no rushing you out the door to get another patient in. Very happy I was told about this place!! I will tell my family and friends to call Dr Stelios.